Ding dong – Dorothy is dead. My name is Amy Gumm. You might remember me as the other girl from Kansas. When a tornado whisked me away to the magical land of Oz, I was given a mission: Dorothy must die. Now the Road of Yellow Brick is leading me away from Oz to the dark world of Ev, where I have a new, powerful enemy to deal with: the Nome King. And – surprise – he has a gingham-clad bride. 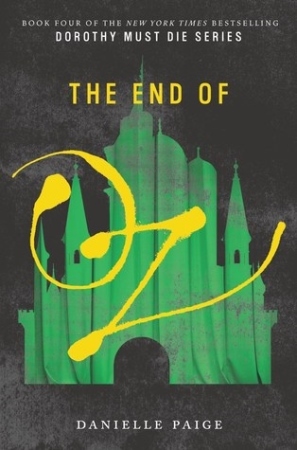 With my magical shoes and a shrinking group of allies, I have one final chance to fulfill my mission, and save not only what’s left of Oz, but Kansas, too. As the line between Good and Wicked blurs even further, I have to find a way to get rid of Dorothy once and for all – without turning into a monster myself. Dorothy once said there's no place like home. Can I stop her from destroying mine?